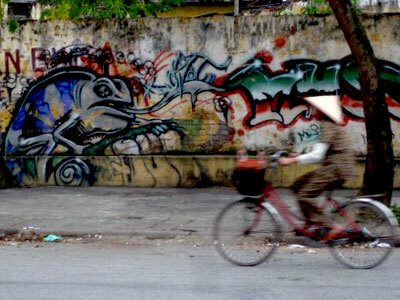 The Novara crew is in Vietnam and Steve Gluckman Facebooked this photo. Reminds me of all the various bikes we saw in our Asian travels and a reminder that in other parts of the world, people just ride bikes for transportation. Next Next post: The Worst Bike Shop Job Ever?